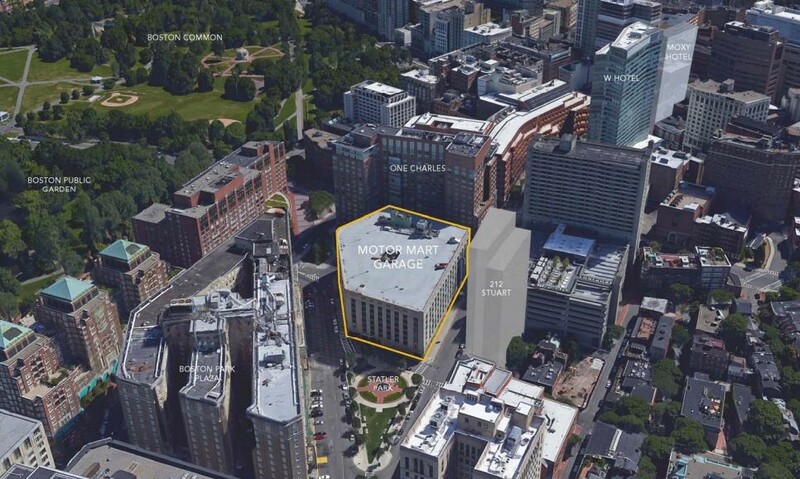 A new Back Bay Tower called the Motor Mart Garage is being redeveloped into 306 apartments and condos as well as 672 parking spaces. CIM Group and Boston Global Investors, the new owners, have proposed redeveloping the existing eight-story Motor Mart Garage at 201 Stuart St into a vibrant, mixed-use building by constructing new residential apartments and condos within a 20-story residential tower rising out of the existing building. 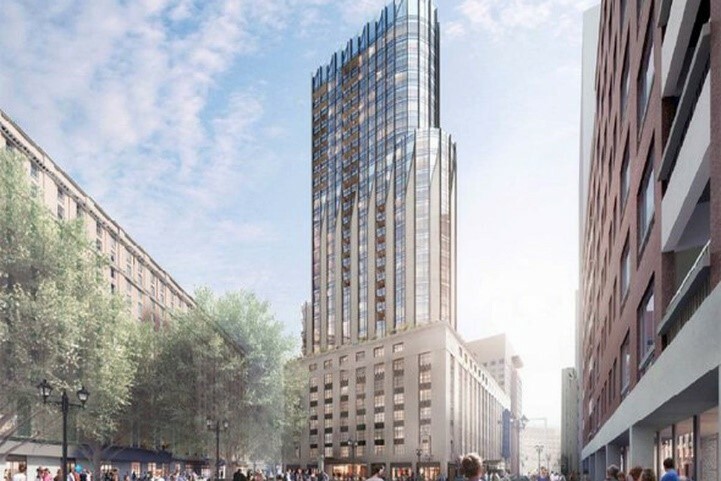 Bordering the Theatre District and overlooking the Boston Common, this Back Bay Tower would be near Midtown, South End, and Bay Village. 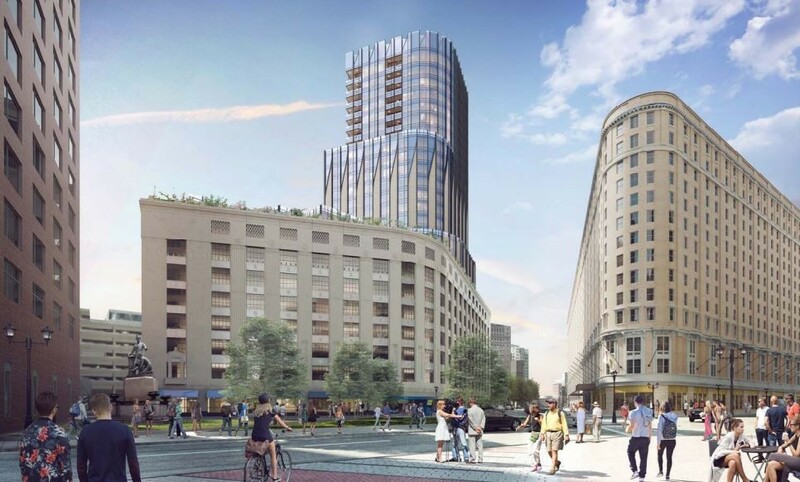 “The project’s height was considered as a continuation of the high spine of Boston,” the development team wrote in the Sept. 10 project notification form. “With the rhythmic and ornamental facade of the existing building, the design approach is to make a strong and immediate connection between the existing facade and the new tower.” The residential tower will contain an outside pool, a ninth-floor “vegetated roof” and a fitness center. The plans would also add about 46,000 square feet of restaurant and retail space to the site. CIM Group, a Los Angeles-based real estate investment firm, bought the garage in 2016 for $162.5 million. The Business Journal later reported on the firm’s intent to pursue development options at the garage, and in March notified the city of its intent to develop a residential structure at the garage. The expected beginning of construction will be in the second quarter of 2019.